"Panama Canal Tolls: Instruction of the Secretary of State of January 1" by Philander C. Knox, A. Mitchell Innes et al. This book is a collection of typed letters and documents between the Taft administration and the foreign service of Great Britain on the opening of the Panama Canal and the placing of tolls on vessels using the canal. The reports draw on the Clayton-Bulwer Treaty of 1850 giving equal importance of the US and Great Britain in New World trading as well as the Hay-Pauncefote Treaty of 1901 allowing the US to build the Panama canal. 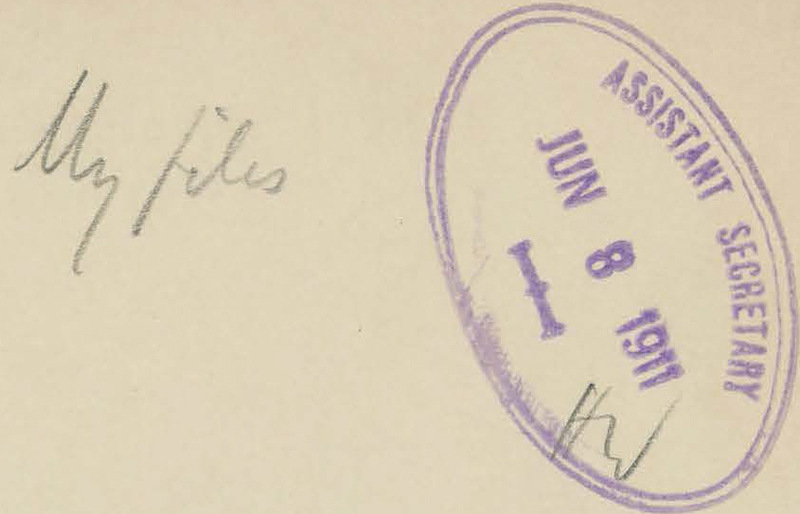 Knox, Philander C.; Innes, A. Mitchell; Grey, Edward; Taft, William Howard; and Bryce, James, "Panama Canal Tolls: Instruction of the Secretary of State of January 17, 1913, to the American Charge D'Affaires at London, and the British Notes of July 8, 1912, and November 14, 1912, to Which it Replies" (1913). Notes, Speeches, Articles, and Addresses. 12.